The third quarter earnings season will kick off this week with the four biggest banks in the United States all reporting on either October 12 or 13. Bank of America (NYSE: BAC), Citigroup (NYSE: C), J.P. Morgan Chase (NYSE: JPM) and Well Fargo (NYSE: WFC) collectively have over $8.5 trillion in assets. Banks and other financial institutions have performed well since last year’s presidential election with the financial sector gaining over 31 percent since election day. That is the best performance of any sector over that time period. With President Trump winning the election and a campaign promise to repeal the Dodd-Frank Bill, financial stocks rallied sharply last November. 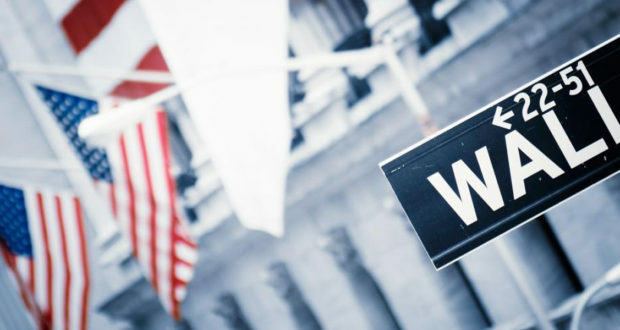 The four biggest banks have seen their stock price benefit greatly with BAC gaining 56 percent, Citi 53.3 percent, Morgan 41.8 percent and Wells gained 24.2 percent through last Friday. Wells has lagged the other three due to the ongoing scandal involving unauthorized account opening and fake accounts, but it has still outperformed the overall market. Citi and JPM will announce on Thursday and both have a history of beating estimates. For Citi, they have beat by an average of 5.85 percent per quarter over the last four quarters while JPM has beat by an average of 14 percent over the last four quarters. Analysts’ estimates have been ratcheted up for Citi and down for JPM. The current estimated EPS for Citi is $1.31 and that is up from $1.29 one month ago. JPM’s current estimate is for EPS of $1.65 and that is down from $1.67 from a month ago. The changes in estimates can give investors an indication of whether the sentiment is becoming more bullish or more bearish toward the stock. When expectations are lowered, sometimes it is easier to beat and the reaction after the announcement is toward the upside. The opposite is true as well, if expectations are too high, even if the company beats estimates, the stock may slip. BAC and Wells both report on Friday. BAC has beaten estimates by an average of 12.5 percent over the last four quarters while Wells has only managed to beat by an average of 1.75 percent. BAC has seen their EPS estimate move down to $0.46 from $0.47 one month ago. Wells has also seen its EPS estimate moved down, from $1.04 to $1.03. Another tool that I like to use to get an idea of what the sentiment looks like toward a stock is from Sentimentrader.com. It is their Optix tool. Essentially the optix is a composite sentiment number that looks at analysts’ ratings, short interest ratio, put/call ratios and activity. The number can range from 0 to 100 and the higher the number the more bullish the sentiment while a lower number indicates bearishness or pessimism toward the stock. All four of these banks have relatively high readings. Citi’s is at 86.75, JPM’s is at 74.66, BAC’s is at 79.69 and WFC’s is at 73.76. These readings were as of October 5. It is important to know that these numbers can change dramatically over the course of a few days. One of the things I like about the Optix is that you are comparing that stock’s current sentiment level to where it has been for that specific stock in the past, rather than comparing to all other companies. With that in mind, I estimated where the current levels rank in percentile terms. Right now it appears as if the sentiment is relatively bullish toward the banks. It is slightly encouraging that three of the four have seen their EPS estimate get moved lower over the past month, but that shift is offset by the high sentiment readings. The bar seems to be set pretty high, so the reports will likely need to be flawless for the stocks to move higher after the earnings reports. Shifting from Quarterly Reporting to Semi-Annual Reporting – Bad Idea?